Breastfeeding may be natural, but no one said is was always easy. The average hospital lactation appointment lasts less than 15 minutes. Our in-home consults last 2 hours! Feel the difference in breastfeeding support at Baby Nest. Our IBCLC Certified Lactation Specialist supports all families and situations in their breastfeeding journey. We understand each family has their own unique and individual needs and we meet them right where they are at. We believe that with professional support and a heart full of patience and care, most breastfeeding challenges can be overcome. During this visit you will discuss any risk factors that might interfere with breastfeeding, which includes a breast exam to assess glandular tissue for future milk production. A one-on-one consult to talk about questions or concerns you have and make a tentative breastfeeding plan for after baby is born. Reduce your worries and get educated on how to increase your success for breastfeeding with our Breastfeeding Prep Classes. Learning BEFORE baby arrives changes everything! RSVP HERE for our NEXT CLASS! A comprehensive in-home visit to assess the situation, create strategies and make sure baby and mother are getting through their challenges. Your IBCLC will assess your baby’s oral motor function: sucking strength, latch mechanics and create an individualized plan to support your breastfeeding goals. for you to send into your insurance to receive reimbursement. My house is a bit of a menagerie: 3 children, 4 cats and 9 chickens. I have dreams of having a big hobby farm someday. When I am with a lactation client, my goal is to make things easier, more comfortable and sustainable. I want to empower parents to breastfeed their babies with confidence, with the goal for them to be able to replicate the work we do together when I am not there. When needed I provide more intervention, detailed care plans and sometimes I take it easy and meet a short term goal. I make these practical decisions based on my clients individual learning styles, emotional state and basic needs met or unmet. More specifically though, I am passionate about working with families with babies that are having oral restrictions (like “tongue-tie”), or other complications that are making breastfeeding challenging. I always bring empathy and respect during these vulnerable times and listen carefully to the entire story. I am skilled at prioritizing my care plans so that they are manageable for the sleep-deprived families. “I recommend Emily’s lactation or doula services to anyone in need. She is knowledgeable, compassionate, authentic and she really understands the emotions of new motherhood. (great sense of humor too which is refreshing). We love and appreciate Emily and it was a bittersweet graduation when we had to say goodbye!” A.C. This is a group for all breastfeeding parents and babies of all feeding methods and ages. Come for FREE weight checks, and get your breastfeeding, baby & parenting questions answered. Most importantly get support from each other during this important time that self-care is essential. 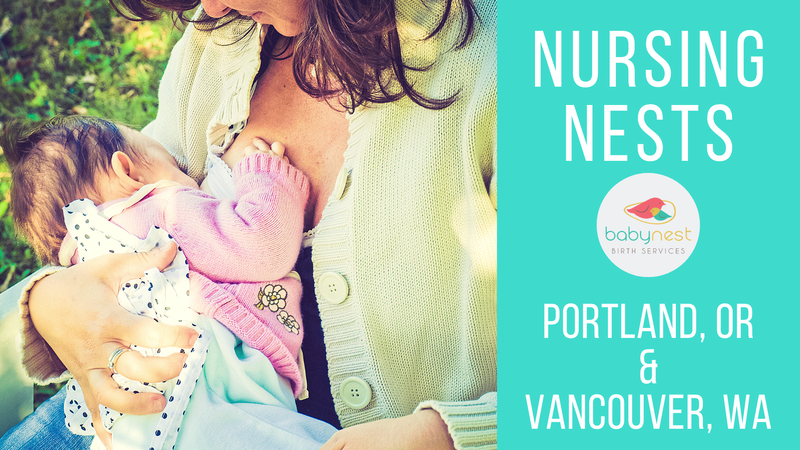 Facilitated by a Board Certified Lactation Consultant and Postpartum Doula (IBCLC) from Baby Nest. No need to pre-register or have your hair done, just come as you are! “Upon the birth of our little boy we were in need of a lactation specialist and knew Emily would be the perfect person to help us through the challenges we were facing. Our son was born 3 weeks early and needed a little extra help to figure things out. Emily’s patience and knowledge was what I needed to stick through it. Thanks to her we are successfully breastfeeding! Emily, thank you for all you’ve done to help us!” -B.S.